Start next year by bringing harmful skin routines to a halt. We love our makeup and yet…we hate how our skin reacts. What do we expect though, when we pile it on all day and forget that what’s literally underneath that counts? Cut these bad habits ASAP if you want to keep a happy balance between color and care because remember, your makeup is only as good as your skin. Bad Habit 1: Not cleaning your face enough. Girls should know that the max number of hours makeup should be left on skin is eight hours. Don’t you wonder why after that it feels gross and weird and cakey? 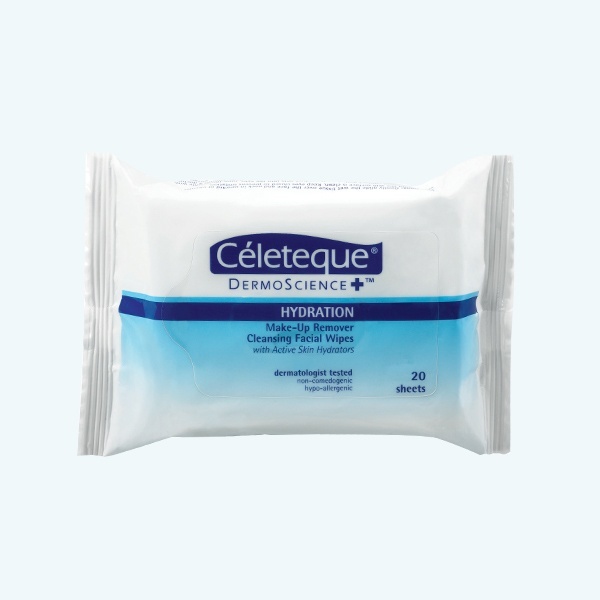 Washing your face is a basic habit to having nice skin, but we understand all too well when at the end of the day you just want to relax – so keep these Celeteque Makeup Remover Facial Wipes at your bedside, desk, or purse for when you just want to cleanse, finally. Bad Habit #2: Skipping sunscreen. Girls have so many excuses: it’s hot, it’s too sticky, it ruins your makeup – but surprise, there’s no beauty technology out there that doesn’t answer your concerns. If you’re lazy, use a foundation that’s already incorporated sunblock into it, like the Celeteque Photoready Foundation with SPF 30, just enough for everyday use. No, excess oil shouldn’t be your natural moisturizer. If you don’t already know, oiliness comes from your glands producing excess oil to overcompensate when you don’t hydrate. So cut the vicious cycle by cleansing toning, and then moisturizing with a product that’s made for your skin type. 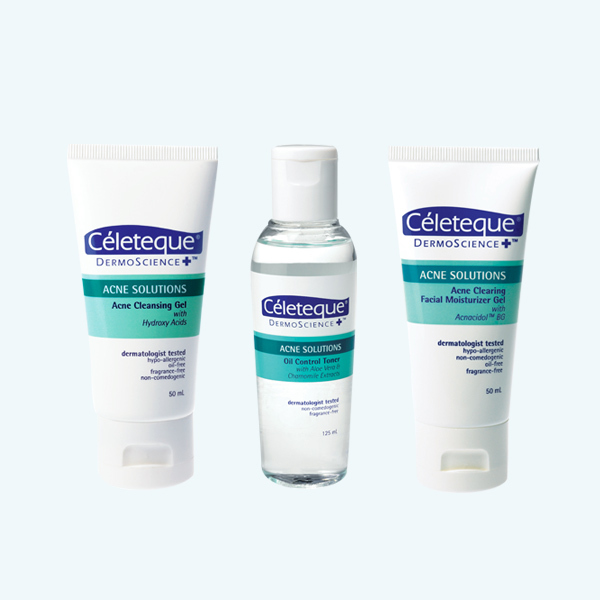 Use this three-point system from Celeteque to balance out your skin: Cleansing Gel, Oil Control Toner, and Acne Facial Clearing Moisturizer. Bad Habit #4: Relying on makeup instead of skincare because of scars or pigmentation. It is possible to use makeup and care for your skin at the same time. 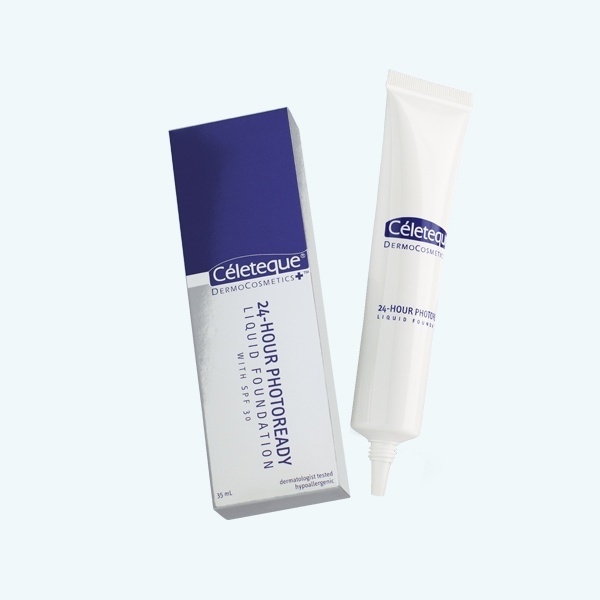 Be vigilant with your products – instead of just covering up, try the Acne-Clearing Concealer for active pimples and then the dark spot concealer for healing areas. 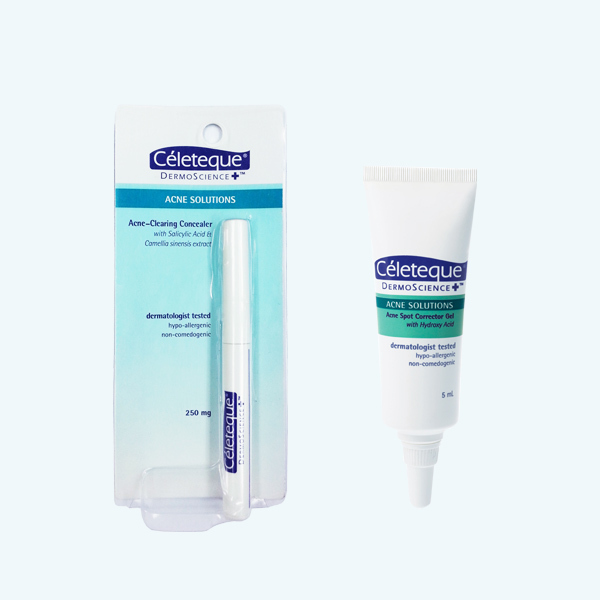 Then when you’ve washed it all off at the end of the day, the Spot Corrector Gel helps clear it in the long run. Just because you were born with good skin doesn’t mean it’ll stay that way. Nor does it mean you can get away with horrible habits like sleeping late, too much alcohol, and not enough water (we can’t stress this enough!). 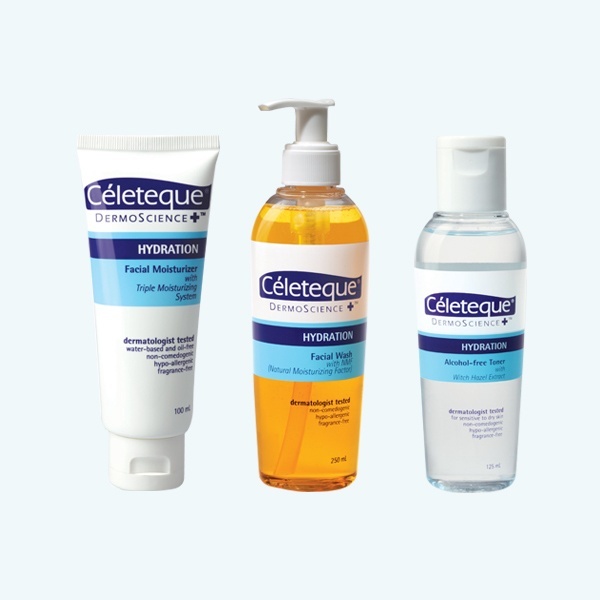 The simplest regimen helps keep your naturally clear skin clear – start with the Celeteque Facial Wash, then the Facial Moisturizer, rounded up by the Alcohol Free Toner only on extra-oily days. This article was created by Summit StoryLabs in partnership with Céleteque.